There's something about Land Rovers. That badge alone endows these Brit SUVs with a sense of invincibility that makes you feel like you can conquer every mountain on earth. 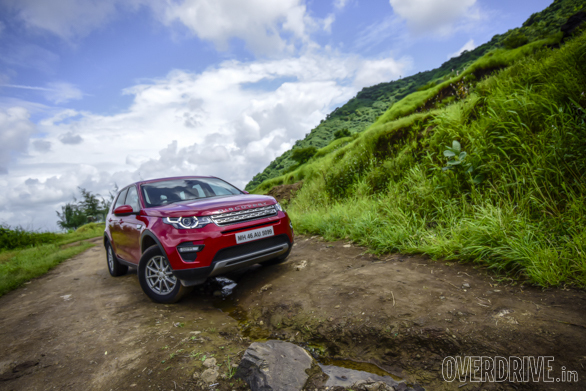 And until the Evoque came around with its swanky good looks, they also looked the part. Don't get me wrong though. The change in design philosophy did not mean they look like automobile teenage girls drive around in. The new design only made the looks change from Mike Tyson to Gina Carano - good looks and a punch that can knock your teeth out. This holds true for all of Land Rover SUVs now, right from the Evoque to the range-topping Range Rover. And in the middle of that line-up is the Discovery Sport. We've already driven the 2.2-litre diesel variant and it was suitably impressive. But now we have the 2.0-litre petrol. Looks, features and dynamics wise, the car is almost the same as the TD4 variant that we've tested a few months back. The only difference is in the motor. 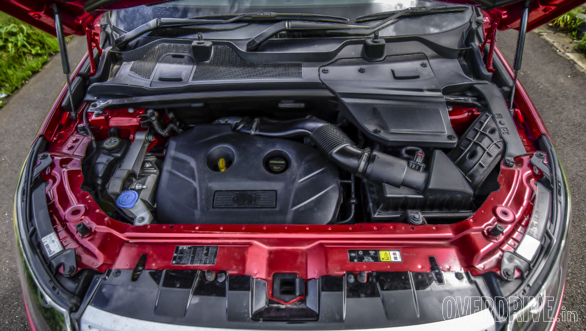 The Si4 is a four-cylinder, 1,999cc petrol motor that makes 240PS and 340Nm. This makes this variant 90PS more powerful but down on torque by 60Nm. It uses a 9-speed gearbox from ZF and can accelerate from 0-100kmph in 9.8 seconds. This makes 1.7 seconds quicker than the diesel motor and with a top speed of 194kmph. It's a wee bit faster than the diesel too. However, the additional performance does limit the efficiency of this motor. 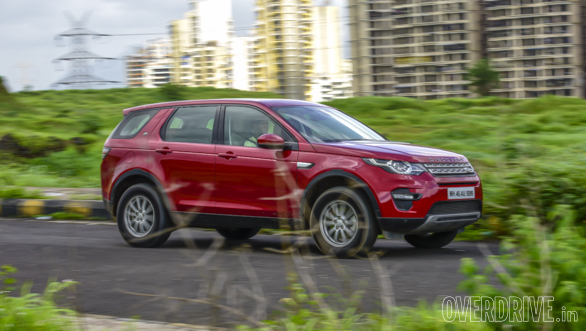 On the highway, the Disco Sport returned 11.4km to the litre, while in the city that dropped to 8.1kmpl. This adds up to an overall efficiency of 8.9kmpl. Nothing to write home about. Another gripe I have is the responsiveness of the drivetrain. The combination of the gentle throttle response and slow gearbox response translates into lazy acceleration. For example, you really have to mash the accelerator pedal to get the Disco Sport going. And even then, the shifts aren't very fast. However, I wouldn't worry about this too much. 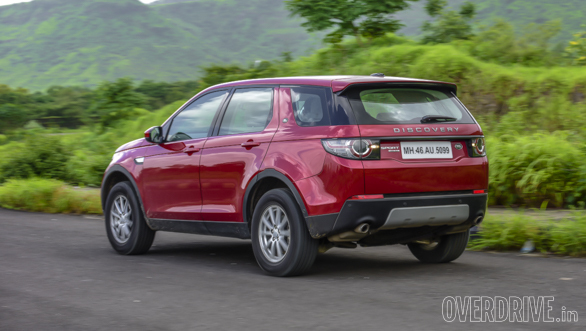 Most of the Disco Sports in our country are going to be chauffeur driven, and when you're sitting at the back, a gentle drivetrain can mean a smooth ride. And the magic carpet ride that swallows up every single thing in your way will only add to that feeling of being isolated from the rest of the world and its worries. What I really like about the engine is how refined it is. The diesel motor itself was one of the most refined in its class. So I don't really need to tell you that when you throw this petrol motor under the hood, the refinement levels start becoming eerie. You really can't tell that the motor is running. Of course, the Disco Sport comes with all its usual goodies like terrain response and the whole list of safety tech, including seven airbags, ISOFIX points, traction control, stability control and ABS with EBD. Terrain response gives the SUV tremendous off-road capability. In the limited time that we had to drive off-road, it managed to clamber over moderately large rocks, drive through reasonably deep water crossing and find traction in slush without a problem. Only the 200mm ground clearance plays in your head when you get to the really rough stuff. A couple more millimetres there would have given the electronics the chance to really shine. That said, it is the ride quality that stands out above all else. You never have to back off over bad sections of road. And even while going flat out over bad roads, very minimal shock and harshness is transferred to the occupants. On the flip side, though, there is a bit of roll around corners that point to the fact that the Disco Sport remains a fairly large SUV. But that doesn't take anything away from its dynamic ability. Despite the roll and slight understeer, it can go around a corner pretty quick and the electronics makes sure that any waywardness is taken care of. 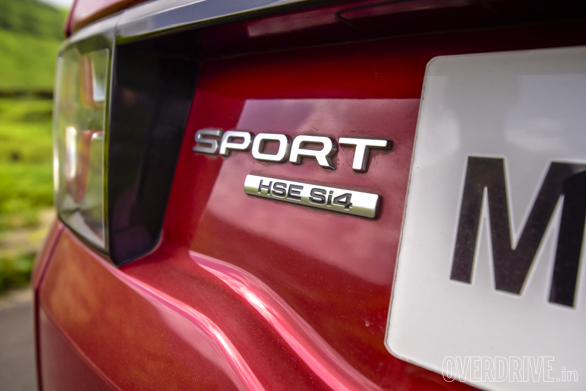 At Rs 64.28 lakh (on road, Mumbai), the Discover Sport HSE Si4 isn't a cheap car. It is roughly Rs 4 lakh more than its diesel sibling. Does it make sense to buy it then? For lesser money, you will get the more efficient diesel. You will lose out on the eerie refinement and 1.7 seconds of acceleration. But that's a sacrifice I'd be willing to make.